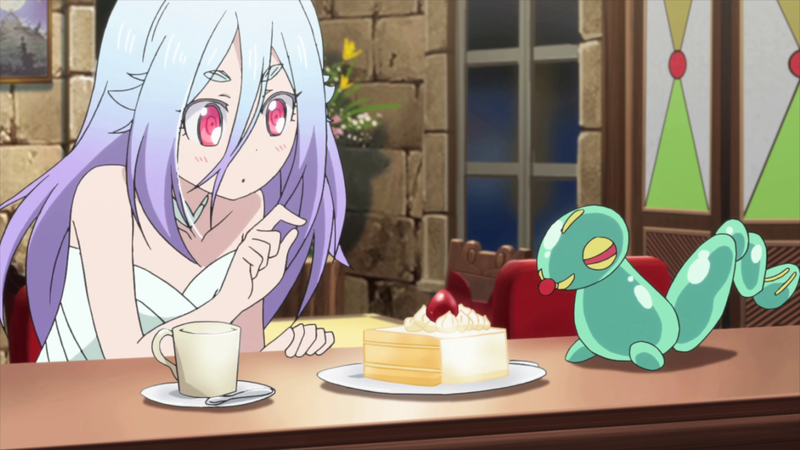 I’ve spent the last three episode impressions singing praises about the things that Comet Lucifer does well, like believing in the world that it’s trying to create for us, but I feel that it’s time to address some of the problems and obstacles that the series will ultimately have to overcome if it wants to successfully tell a coherent story. Perhaps the biggest and most basic issue I think the series has at the moment is that the major conflict, and by that I mean the motive behind the antagonists’ actions, are too vague and cryptic to really be considered unique, intriguing, or even particularly threatening. The apex of this episode is supposed to be when Felia gets kidnapped, but anyone who has played a JRPG before will tell you that a young girl who possesses unimaginable power is an easy target for kidnappings. With the overt development of Felia’s endearing character, from the cat pigeon suit and the dancing vegetables, it should come to no one’s surprise that she gets spirited away by baddies with ambiguous motives. Is there really no other interesting way to inject conflict into the story because how is this any different from your run-of-the-mill episode of Pokemon? In reality, all we saw this episode is Team Rocket stealing Ash’s Pikachu. 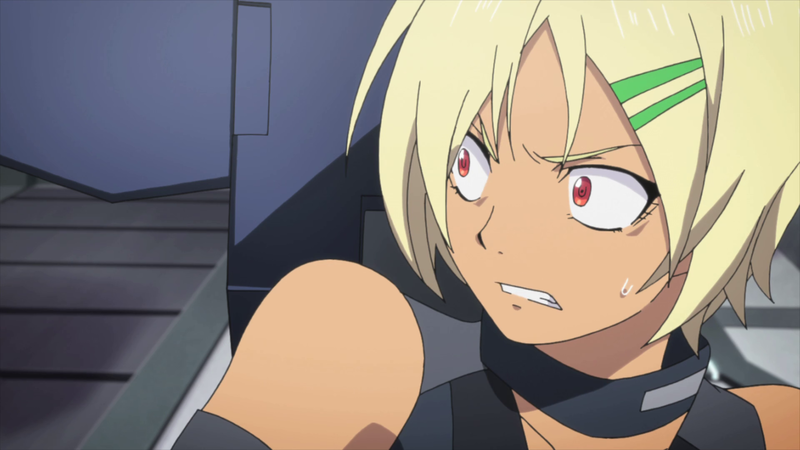 While I’m on the topic of needless elements in Comet Lucifer, I want to talk about how the series keeps focusing on how Kaon refuses to marry Roman because she believes she’s independent. I love strong, independent female characters, but so far, Kaon has yet to prove that she’s capable or autonomous, and I wonder if that’s a fault of her character or the fault of her writer. It’s a weird dichotomy that I want to explore in other series, too. One well-known character that I believe is only held back by the writer is Asuna from Sword Art Online, while a more recent example would be Julis from The Asterisk War. Both girls are talented warriors who, for no inexplicable reason other than the writer’s whim, require a man to save them and/or have a man overshadow their proven skills. 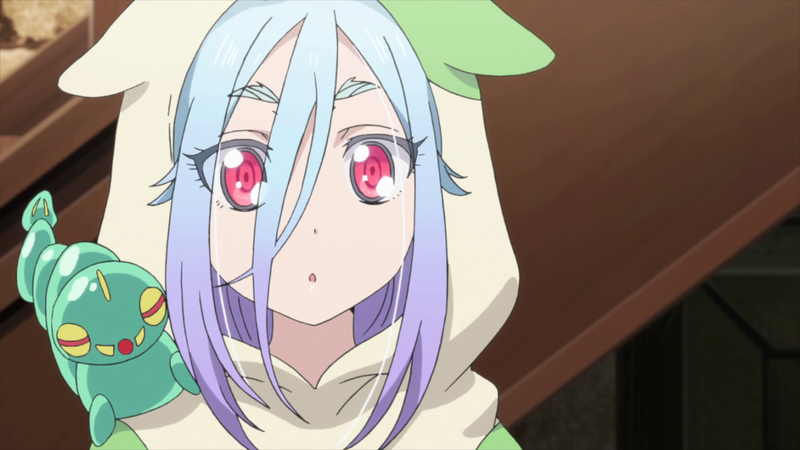 If Comet Lucifer manages to reconcile these issues in the coming episodes, we can have a good series on our hands, but at the moment, the best things the show has going for it are the stunning city of Garden Indigo and cat pigeons. Gosh, I wanna hug a cat pigeon, while wearing a cat pigeon suit.